PETROLEUM MARKETERS - BJAAM Environmental Inc. 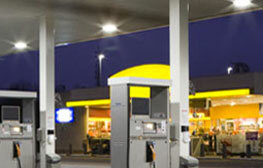 Servicing the Petroleum Marketers sector has been at the core of BJAAM for over 25 years. Our staff of professionals have the expertise to handle all facets of the Petroleum Market including retail facilities, petroleum bulk plants, petroleum distribution, and regulatory compliance. We can serve all of your needs from onsite corrective actions, regulatory agency compliance, environmental reporting and financial assurance fund compliance and reporting.